R & B Star are quality assured to ISO9001:2000 (formerly BS5750) at both our Crayford and London locations, for Electrical Wholesaling and Associated Activities. R & B Star is audited and assured by NQA. The Fleet Operator Recognition Scheme (FORS) is an accreditation scheme that aims to improve fleet activity in London and throughout the UK and beyond. FORS provides a quality and performance benchmark for van, lorry, mini-bus, coach and bus operators and allows access to a range of exclusive accreditation benefits. Accreditation of FORS can provide the tools to help you become safer, greener and more efficient. It is an excellent way to prove to existing and potential clients your credentials as a high performing operator who adheres to high quality standards. R & B Star are a certified re-cycling centre for Lamps and Tubes and will supply you with an official certificate to prove that you have disposed of your lamps and tubes in the correct manner. Low energy light bulbs use up to 80% less energy than old fashioned bulbs, but to do this, they need a small amount of mercury which is why they can’t be thrown away in your bin. 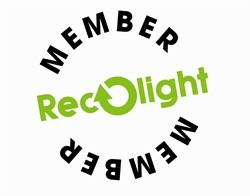 If we all recycle we can protect our environment, and the mercury, glass and metal can be reused. Until recently, if you wanted to recycle your old low-energy light bulbs the only option was to take them to your local council waste recycling centre. There are about 1,100 of these around the country where you can take your old light bulbs along with other items of WEEE.